The Verdun-Bevaux French Cemetery is located at the most southern part of the city of Verdun - at the edge of the city. 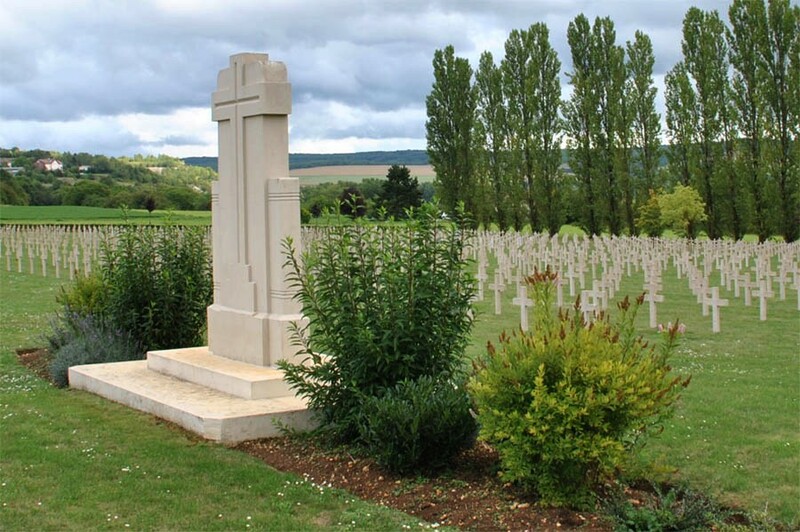 The cemetery contains 3,592 French war graves from World War I & II. 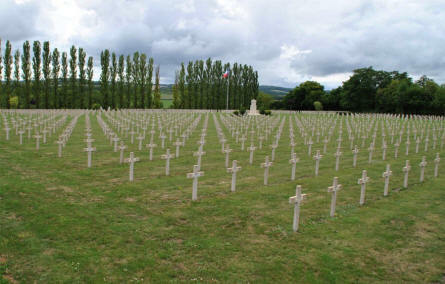 Most of the graves are however from World War I. 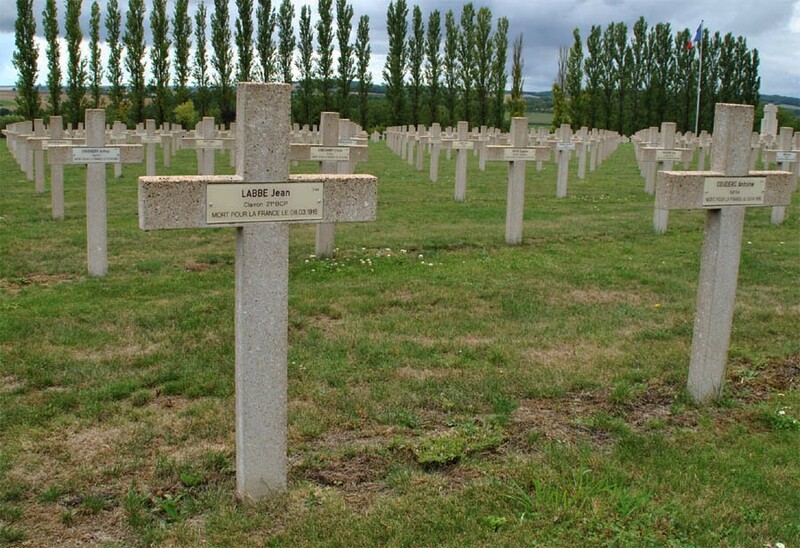 Some of the many French World War I & II graves at the Verdun-Bevaux French Cemetery in Verdun. The solider in front (left) was killed in 1916. 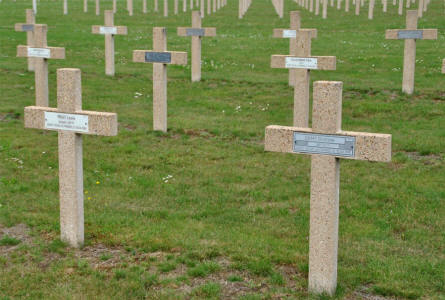 Some of the many French World War I & II graves at the Verdun-Bevaux French Cemetery in Verdun. 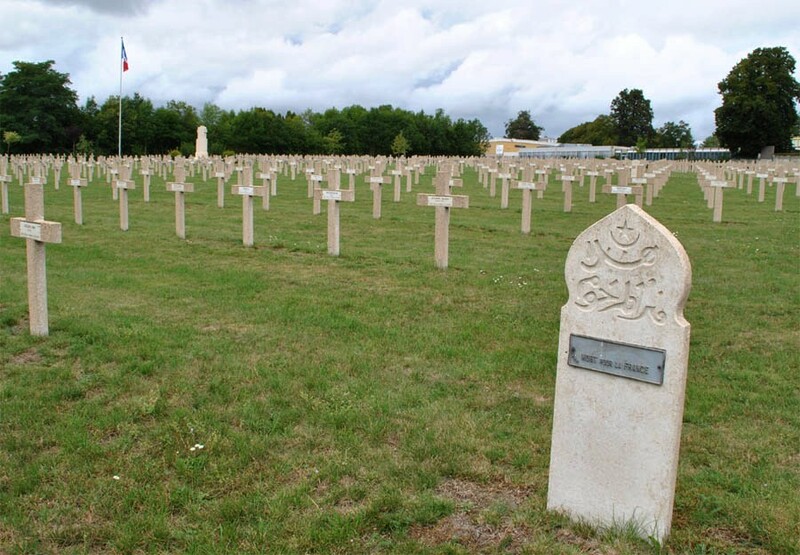 Including one of the Muslim graves. Some of the many French World War I & II graves at the Verdun-Bevaux French Cemetery in Verdun. The solider in front (right) was killed in 1916. Some of the many French World War I & II graves at the Verdun-Bevaux French Cemetery in Verdun. Some of the many French World War I & II graves at the Verdun-Bevaux French Cemetery in Verdun. 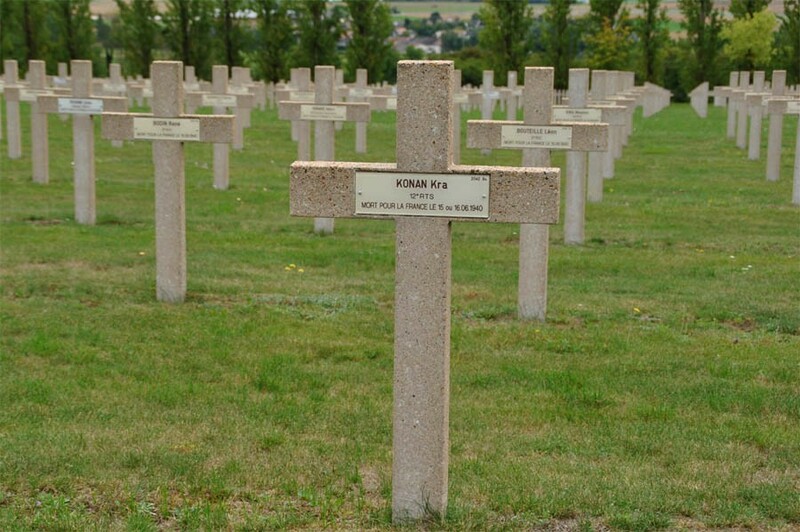 The soldier in front was killed in 1940. A memorial cross at the Verdun-Bevaux French Cemetery in Verdun.